Roey Heifetz is known for his extraordinary larger than life size portrait drawings of figures, part representation, and part flayed imaginings. Heifetz’s large-scale drawings show individuals, often archetypes of authority, delicate in detail but rough and expressive in their overall appearance. 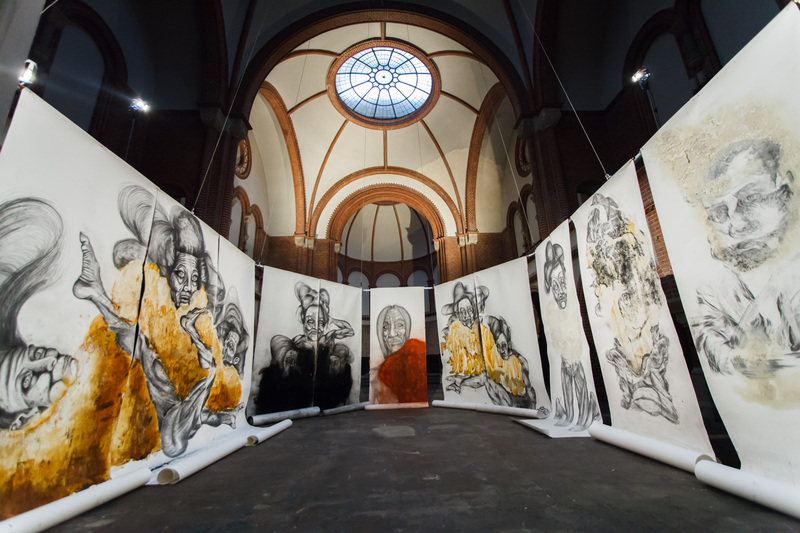 The drawings create unique installations mostly located in different public spaces and practice social situations and intervention. His last project was in the Saint Johannes Evangelist Church, Berlin, May-June 2014, the works were intentionally located at a site of traditional confession and at the same time installed to reflect the old octagonal architectural form of a baptistery. 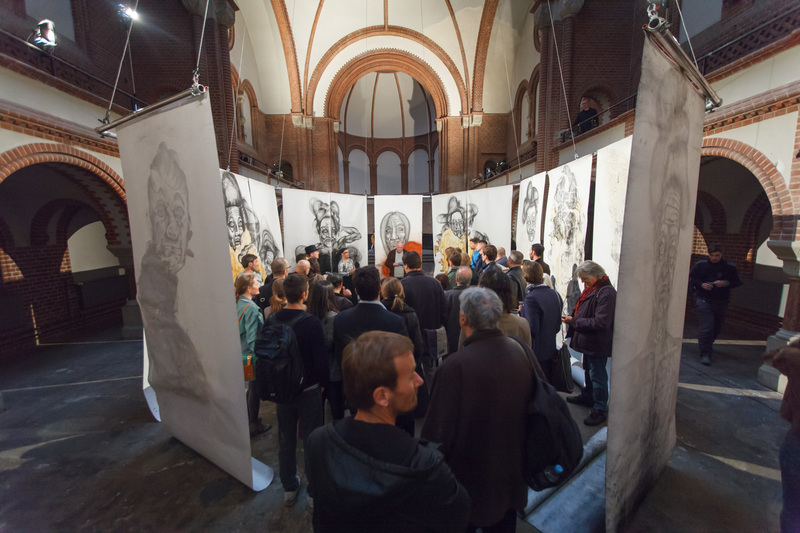 Heifetz’s project ‘Confessions’ opened up a debate during the allocated opening hours of his exhibition, where he conducted confessional conversations with public participants, recorded these anonymous conversations and subsequently made a drawing derived from the contents of the given interviews. These drawings themselves were followed the pattern of an artist-based interpretation and meaning derived from the actual situation and the experiences of the confessor and confessee. Roey Heifetz presented himself through his open nature as a vessel and respondent and not as an interrogative interviewer as such. The exhibition was realized by the grant of The Lottery of Berlin and The Lottery of Israel.